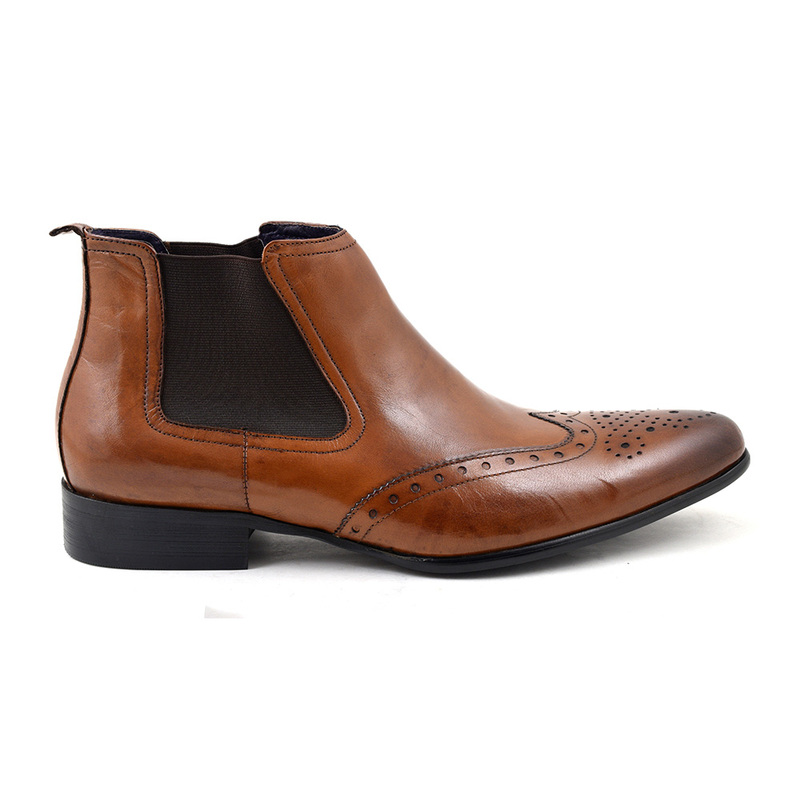 Cuban heel – A broad heel of moderate height with a slightly tapered back and straight front, used in shoes and some boots. Men wearing heels have had a long history, mostly featuring what is now considered the ‘Cuban heel’, being worn as early at the 9th century. Our knowledge of them begins with decorations on ceramic bowls depicting Mongolian horsemen wearing them – however this was used predominantly as a practical way of maintaining stability on horseback. Even today, many horse riding and cowboy boots have the heeled feature to help keep your feet in the stirrups. Over almost a millennium, Cuban-like heels have come in and out of global fashion. They were used in France in the 1600s as a sign that men were an elite figure. Then women began to wear them to create a masculine image to convey social power – a more modern reference to this is the power suits worn in the 1980s. In the early 20th century heels worn by men had become much shorter and rose only to a single inch. When what is now known as the Cuban heel came back in style it was a symbol of rebellion to young people. In England it was musicians who fully embraced the trend first. It was the rise of the Beatles in the 1960s that really brought the heel to Britain. 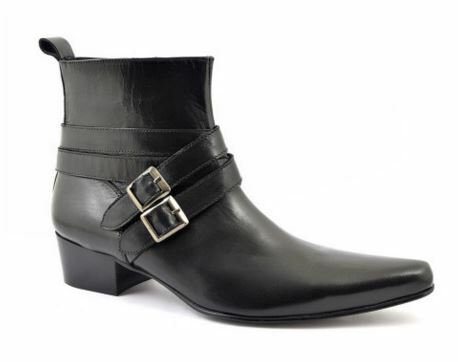 They proudly wore Cuban heels at every opportunity – their footwear style was a kind of hybrid of the Chelsea boot and Cuban heel, tight-fitting, ankle-high with a slightly pointed toe: The Beetle Boot. This hybrid boot fit perfectly into the style of the minimalistic and sleek mods, along with a sense of height that brought power and authority (as seen in history also). In the 1980s Prince wore tall Cuban heels due to his petite stature. It became his signature style, as it does with many modern day heroes…. Today, each and every variation of the Cuban heel can be seen everywhere from Beetle Boots to Strictly Come Dancing. Beetle Boots were either Winklepickers with a Cuban heel or Chelsea boots with a Cuban heel. Strictly Come Dancing features the heel due to its connections to the Latin dance movements that have taken the world by storm; the Rumba, Samba and the Cha-Cha-Cha – all of which are usually performed by men in moderately high heels. Other references to Cuban heels can be seen in modern public figures, such as the band Franz Ferdinand and the comedian Noel Fielding. It’ll be a long time before we stop seeing men in heels! The Cuban heel is here to stay!